Apple’s 15 inch MacBook Pro. Courtesy of Apple. My name is Mel and I am the author & publisher of Mel’s Macintosh Universe & Technology Blog. This blog has its origins at my old Mel’s Macintosh Universe website, which is still up but has been superseded by this tome. I am a longtime Mac user and technology fan. Previously this blog was set up to address issues and articles relating to the Apple Macintosh platform. It still does. But as of today (May 16, 2013) the scope of this blog is being expanded to cover not only the Apple Macintosh, its related products (iPhone, iPad, iPods) but now moving into other platforms such as the Google Chromebooks, the internet, photography, electronics and technology in general. This hopefully will lead to more content. I have been using an Apple Macintosh Computer in some form or another since a friend loaned me his Macintosh Plus way back in 1988. After 2 weeks of playing with that Mac Plus that had no hard drive and only 2 floppy drives, I was hooked. I learned on MacPaint, MacWrite, MacDraw and created a few simple stacks with Hypercard. A short time later, I bought my own Mac Plus, with an Apple Imagewriter. This set up initially had the 2 800k floppy drives like the Mac Plus I borrowed. It took me several months to save up more money to get an Ehman 45MB hard drive. From that point on, my Mac could fly! I got into desktop publishing and started using LetraSet’s Ready-Set-Go to create newsletters, flyers and a lot of other printed things. I later moved up to Pagemaker 2.1. The next thing I got was a 2400 baud modem and soon I discovered the world of Computer Bulletin Board Systems (BBS). A few years later, I got a Macintosh IIsi, a Power Computing Mac Clone and many other Macs through the years. I was lucky enough to work in a couple of offices where the Mac was the dominant platform. Today I own several Macs of varying vintage. They include a Powerbook 3400c, an iBook 700 G3 laptop, a Power Mac G4 Quicksilver tower, a 15 inch Mid-2009 MacBook Pro and a 13 inch 2011 MacBook Pro. I also own several iPods and an iPod Touch 4th generation. I have yet to own an iPad and I don’t plan on ever owning an iPhone. My latest computer is a Samsung Chromebook, which is not a Macintosh and instead is a laptop that does not run Windows but Google’s Chrome OS. It is a nice, affordable computer that does most internet things very well. I will write more about it on a future post. Most of my computer time is spent writing, editing photographs, doing print and online layouts, publishing and maintaining several websites. For fun I watch online TV and video, listen to a ton of music and hangout in some of the usual social networking types of places…. Facebook, Twitter and Google Plus. I am well healed in using all of the classic Macintosh system software releases from 1.2 to 6.08 as well as Systems 7.x, OS 8.x and Mac OS9. Today my operating system of choice is just about any Mac OSX and their upgraded derivatives including iOS. I also am now an active Chrome OS user and have dabbled in alternative operating systems such as BeOS and Ubuntu Linux. This blog will contain commentary, news, information, photos and more on anything that I find interesting concerning Apple, the Macintosh, iOS devices, Chromebooks, the internet, photography, electronics, technology and much more. I hope you find this blog helpful, interesting and maybe even entertaining. If you need to get a hold of me, contact me by email at macpro3000@yahoo.com. The June 2009 15 inch MacBook Pro is my main home computer. 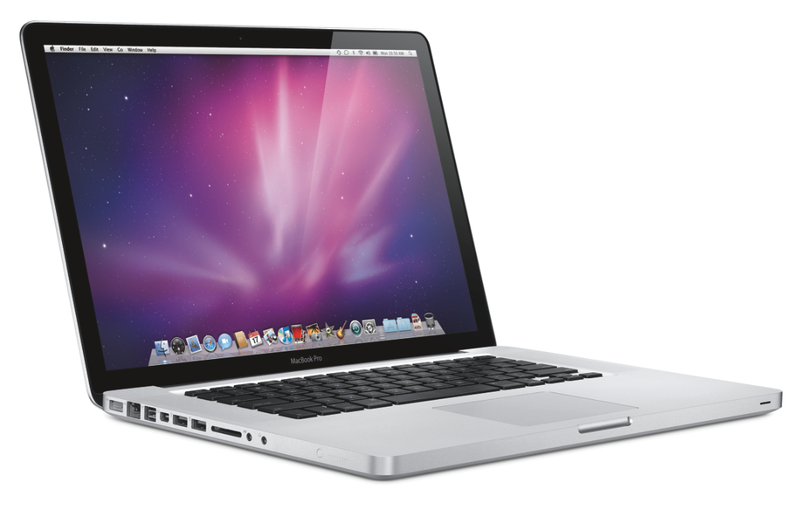 The mid 2011 13 inch MacBook Pro is the main Apple product I use at work. The Chromebook is my secondary laptop computer running Google’s Chrome OS.